The professional golfer discusses the importance of meditation in his life and how he overcame the fear of failure. The year 2014 was a turning point in my life. I won the All-India Amateur Golf Championship and was raring to turn pro. I was confident. I saw myself breezing through the ranks and moving up in life. What I didn’t realise, however, was that it had taken me a long time to get good as an amateur. And now, I just wanted to go all guns blazing in pro-golf. When things didn’t go as planned, I beat myself up. I didn’t like being ranked lower. I didn’t like not finishing events. My self-belief dropped. I developed a fear of failure. Unable to control my emotions, I would start venting my anger at the golf course. It was a real low point in my career. When I contemplated, I realised that the anger came from not knowing why I was playing. My WHY wasn’t strong enough. Clearly, I had a goal but when I didn’t achieve that goal overnight, I would get flustered. I needed to dig deeper and ask myself why I was playing, why was I staying away from family, confining myself to solitude, sacrificing on all the food I liked. Why was I doing it? I wanted an answer and I couldn’t go further till that answer convinced me. That day, I went back to my childhood. To precisely when I was nine-years-old and had started playing golf. I reminded myself that I played it because I enjoyed playing. There was no other reason, no hidden fear, just pure passion for the game and genuine enjoyment. The scoreboard didn’t define me, just as no amount of success or failure defines you. This small intervention, a sudden, clear stream of thought and awareness helped me get back on track and improve my game. Today, a lot of my work goes into giving my all every single day. I ask myself, how will I play to my full potential if I give into fear or mediocrity? These are the things I question far more than results. I address why I am fearful. What are we truly scared about? The fear of failure? What about the fear of winning? What comes after winning? There have been numerous instances when I have been scared of winning, scared about being right up there—it can be lonely. And if there is stress, which is a regular part of each of our lives, I think of what I can control, as opposed to things I can’t control. Stress helps too, as it races my heart, gives me an adrenaline rush which makes me swing faster. All I try to do, then, is adjust to the distance—which I think is a metaphor for life itself. Four years ago, Anirban Lahiri, one of India’s most famous golfers, introduced me to vipaśyanā, which in the Buddhist tradition means an insight into the true nature of reality. I did a 10-day course in Bengaluru and it helped me clear my mind. While I have always been inclined towards yoga and meditation, I have lacked the discipline to pursue it. I didn’t know that the whole point of meditation was to stay balanced, being conscious of and recognising that the storm would pass. Theoretically, we know ‘this too shall pass’ but it is difficult to fully internalise that feeling. When I was an amateur golfer and had injured my spine, I realised how important my body was. Today, I also realise the importance of my mind. It’s why I have a mind coach. He has helped me deal with perplexity, discontentment and of course, negative thoughts. Say, just before the match I am not able to sleep or that I am under-confident about a certain aspect of my game. Initially, I would brush away these thoughts. Today I know that instead of swatting them away, I must address them. And when done persistently and regularly, I believe that this small exercise helps me reach my optimal performance mindset. At the end of the day, the key is to stay equanimous, no matter the highs or lows. Initially, I meditated because I wanted to be better at golf but now I know it has far greater benefits: it has helped me with my relationships, in ensuring that I carve out time for myself, and of course, in helping me focus better. It has, above all, given me the discipline to take care of my body and mind. Meditation has a renewed significance at a time when all of us are living such disconnected lives. We are spending so much time away from ourselves, from being present. We are on our phones, clicking away on social media, giving our own creative powers neither attention nor time. I was the same. I spent numerous hours on social media trying to keep up with the world, but now I know that nothing is more important than keeping up with myself. My phone has cost me my sleep and I’ve made sure I keep it away before sleeping. This time off has helped me fill an endless void that staying constantly connected left me with. My eyes today are roving inwards and I am doing my best to stay rooted, embrace fears, and play with the strength of freedom. 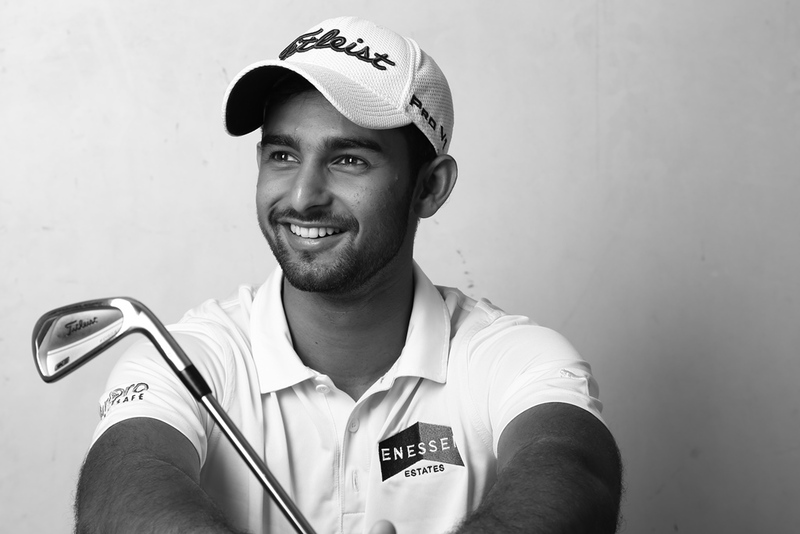 Trishul Chinnappa is a professional golfer who hails from Coorg, Karnataka. Having been a member of the National Junior and Men’s teams for over eight years, Trishul turned professional in January 2015, then holding the title of National Amateur Champion. Ever since, he has played on the Professional Golf Tour of India where he has been slowly, yet steadily finding his feet. Trishul thrives on sport, nature and coffee. He enjoys taking time off to travel, read non-fiction and aspires to be a better dancer.